Special One Time Offer… Save 25% When You Purchase the Milton’s Secret Companion Guide Bundle. With Presence in the Family and Escape Planet Fear, You’ll Be Equipped with the Tools You Need to Create an Environment of Calm in Which Your Family Can Live Fully, Consciously and Mindfully. Thanks so much for your purchase of Milton’s Secret. We’ve put a tremendous amount of time, energy and passion into delivering what we hope you agree is a deeply moving cinematic experience. But Milton’s Secret is more than just a vehicle for your entertainment… it’s a vehicle for your personal transformation to a heightened state of consciousness. Deeper levels of presence, and a life free of anxiety and stress. The flip side of that coin, however, is that Milton’s Secret is full of lessons in mindfulness, some of them evident upon the first viewing, others harder to immediately recognise without some assistance. And that’s exactly why we created two companion courses for the film, Escape Planet Fear and Presence in the Family. 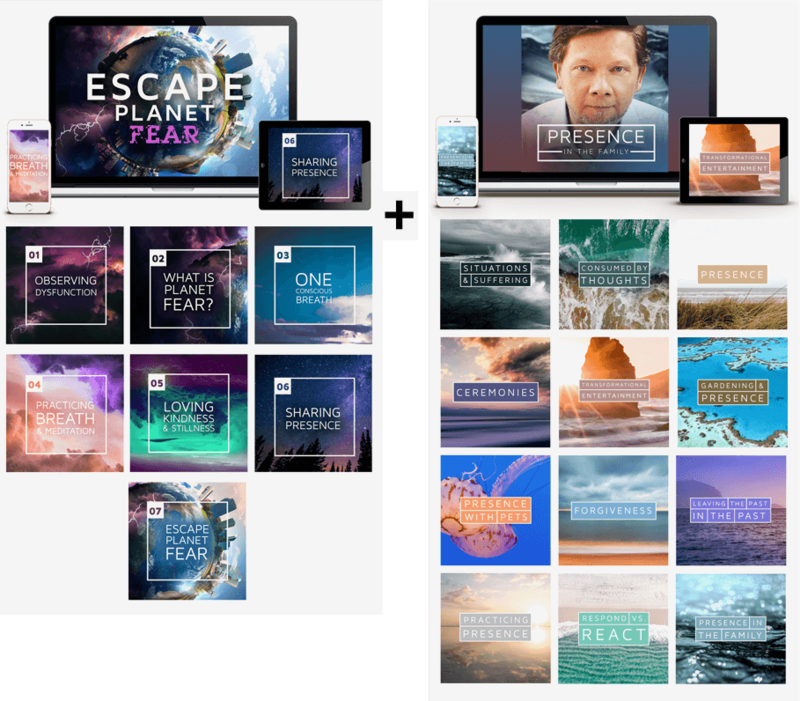 Each of these programs has a different theme, with Escape Planet Fear focusing on how to end negative thought patterns, and Presence in the Family focusing on how to deal with the particular challenges presented by family life.